Hurricane season is a stressful time for many. With high flood waters and heavy winds, many homes have fallen victim to this devastating storm. In the South many homes are built on top of a crawl space and during times like these with excessive flash flooding, these crawl spaces flood and leave you with wet, damaged insulation and a feeding ground for bacteria and mold. 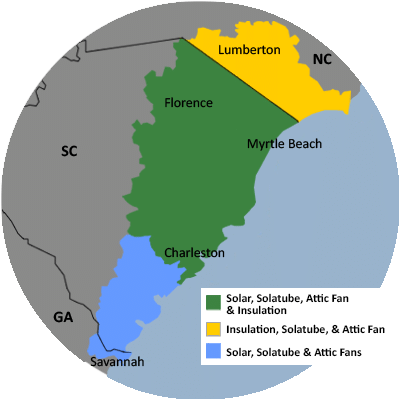 But we want you know that your family here at Carolina Energy Conservation, is here to help. We offer completely FREE crawlspace evaluations! We want to help you get back on track and back into a healthy home. When your crawl space is not encapsulated, it leaves your home exposed to the earth below and all the moisture and organisms that come along with it. This tends to happen due to areas in the space that are not sealed off to the outside world. When we get heavy rains here and then subsequent flooding, the water makes its way into the crawl space. We prevent this from happening by using a SumpPump and dehumidifier to help pump water out from underneath the home. A 20 mil vapor barrier is laid across the entire space and sealed to the foundation to avoid damage from harsh weather conditions. If your crawl space is currently flooded, we will go in to remove the excess water and then contain the space with the vapor barrier to prevent future problems. If your crawl space has been affected by flooding, it is important that you act now. With warm temperatures well into the Fall season here in South Carolina, a hot, damp crawl space is the perfect home for mold spores. These spores make their way into your home making for unhealthy air and an unwanted musty smell. To eradicate mold, we apply a MoldX treatment that not only kills existing mold, but prevents any future spores from growing.